So if we do see a movie, it’s usually only after it comes out on DVD. Which is why we hadn’t seen Batman Begins until now—it came out on DVD on Tuesday. For those of you who haven’t seen it, allow me to strongly encourage you to do so. This is a five-star flick, folks. Every aspect of the production is grade A. From the acting, to the editing, to the script (dang, what a script), to the CGI work, to . . . golly, you name it. 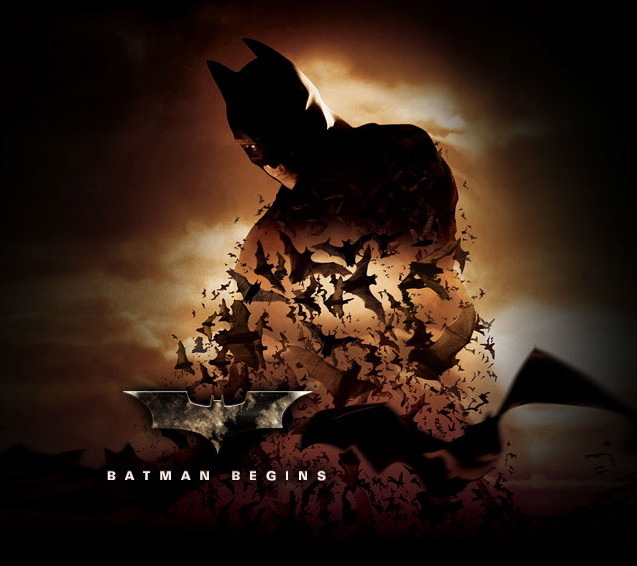 Batman Begins may be the best comic-book movie I’ve ever seen. Most of the credit goes to Christopher Nolan, the director, whose name-making film Memento wasn’t my cup of tea. But, here, in PG-13 territory, Nolan serves up a dish I can enjoy. Then there’s the cast. Morgan Freeman. Michael Caine. Gary Oldman. Liam Neeson. Wow. And Christian Bale, whom I’ve admired ever since Empire of the Sun and who is, in my opinion, the best Batman to date. (Michael Keaton is a close second, then Val Kilmer, then wince George Clooney). But what was most refreshing about this Batman outing was that for once we have a believable villain. Comic-book villains are, sadly, often represented as cardboard superhumans (see Elecktra, Blade, The Punisher, and many others). So it’s a sweet sigh of relief to see a villain who is the hero of his own story, someone who truly believes he’s doing good in the world. He’s not operating on some maniacally stupid blow-up-the-planet agenda. He actually believes he’s doing good. THAT’S what makes a good villain. We only got the first DVD of the two-disc set from Netflix, so I can’t talk about the special features. There’s no commentary from Christopher Nolan, but since I don’t listen to commentaries anyway, I’m not disappointed. In short, rent this movie. Buy this movie. Support movies that get it and do it right. And look for the sequel. They’re will be one. At least there better be. If not, I shall be very put out.